“Inmates, coming through.” That’s our introduction to Phyllida Lloyd’s landmark trilogy, as the homogenised prisoners are steered through the audience by prison officers. But this extraordinarily empathetic project, developed with Clean Break, gives those inmates individual voices and means of expression, while the all-female cast that inhabit them gives new voice to three familiar plays. 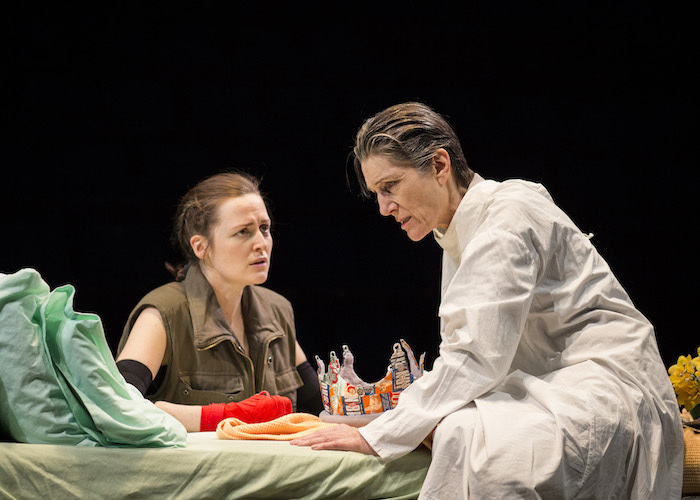 This entry was posted in Journalism, Theatre and tagged broadwayworld, clean break, donmar, donmar warehouse, harriet walter, henry iv, julius caesar, kings cross theatre, london, phyllida lloyd, prison, prisoner, review, shakespeare, the tempest, trilogy, west end. Bookmark the permalink.